Prego Serving Trays || Design: Kristina Stark. 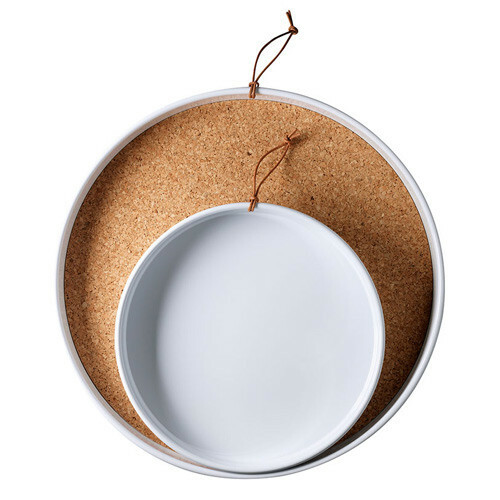 Serving trays in powder coated iron with removable inlay in ecofriendly natural cork. Leather strap for hanging. The trays comes in black or white. Made in Sweden. Serving tray diameter 37 cm. Serving tray diameter 25 cm.